It’s time. Winter is here. 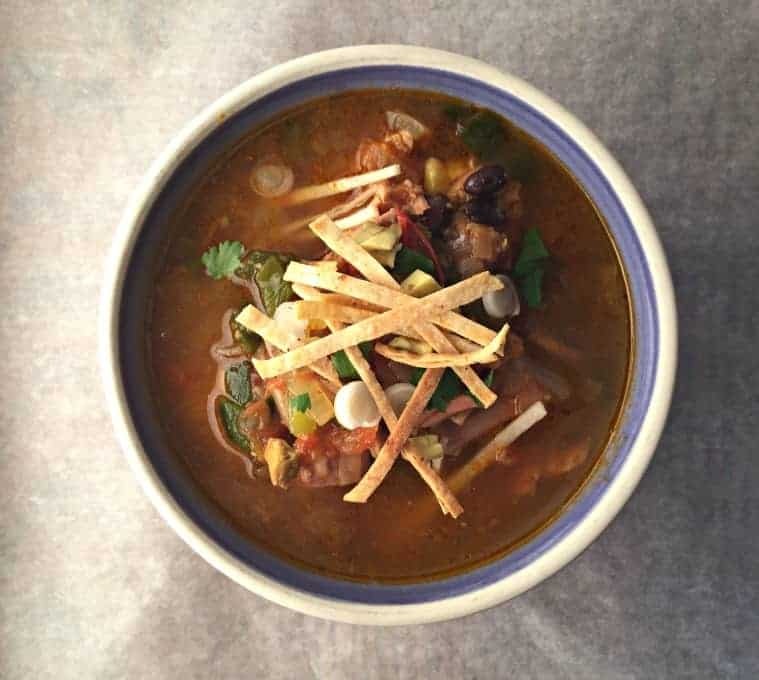 What better way to keep warm than with a bowl of hot, delicious soup? Yum! 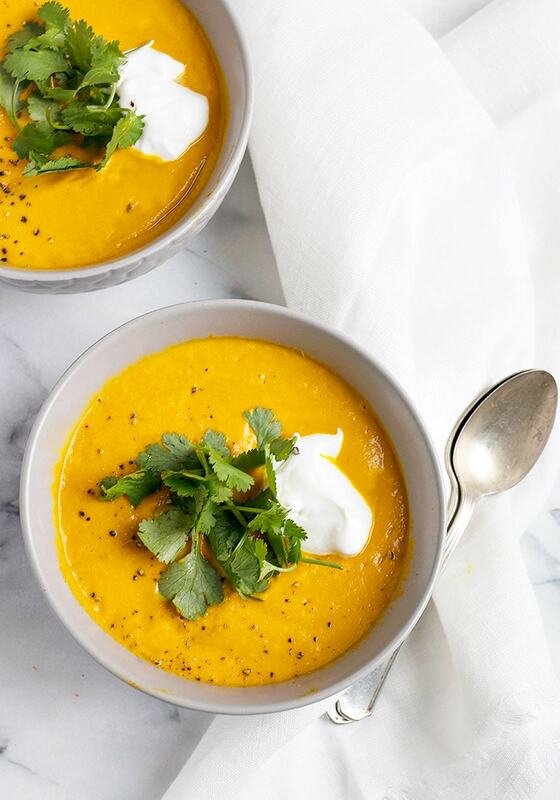 These hearty soup recipes are exactly what you need this winter and they’re so nutritious! Kristy has a great navy bean soup recipe that’s topped with bacon. It’s what dreams are made of! It’s so comforting and tasty. She recommends using the leftover bacon fat to cook onions, garlic, carrots, tomatoes and navy beans in chicken broth. The soup can take anywhere from four to six hours to make; but soaking the beans overnight will surely reduce that cook time. Trust me, it’s worth it! Elaine’s recipe is another wonderful bean soup. It has onion, garlic, carrots, celery, tomatoes, beans, and farro. She adds flavor with rosemary and sage too. It’s so good, creamy and delicious. 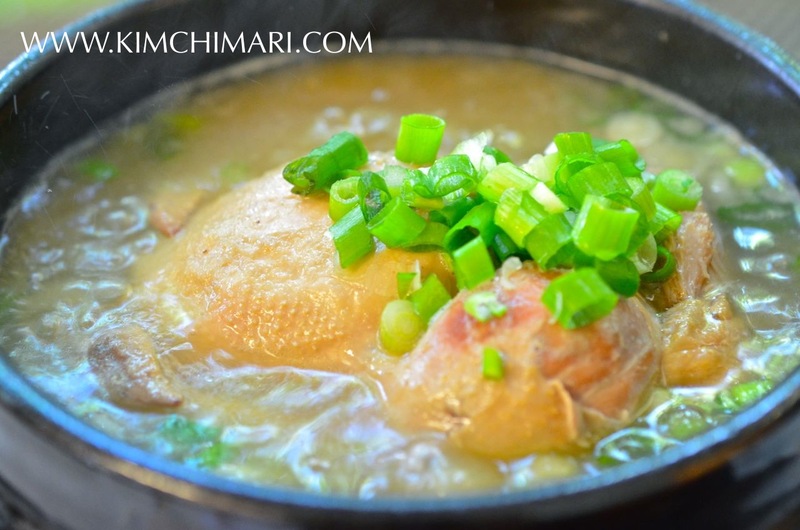 If you love Korean food or exotic soups, try JinJoo’s Korean ginseng chicken soup recipe. It’s made with chicken, onion, garlic, ginseng, and jujube dates. Adding sweet rice and nuts are optional and it’s best with kimchi on the side. Would you believe this tasty soup is most popular on the hottest summer days in Korea? Summer or winter, it doesn’t matter. This soup is incredible anytime! Kristina adapted this recipe from Barefoot Contessa: Back to Basics by Ina Garten. It’s such a wonderful, fulling soup. The meatballs are made with chicken and sausage. And the soup has onions, carrots, celery, baby spinach, quinoa and dill, with a cup of wine. Simple, easy, creamy, and delicious. Yep that pretty much sums up Kathy’s chicken soup. Hers has veggies, chicken, wild rice, milk and half and half. I’m sure you have most of the ingredients in your fridge right now. Try it! I never even knew paella soup was a thing until I saw Elaine’s. I’ve tried it a couple times too and it’s so, so good! It has all the usual soup veggies plus chicken and pasta. There is also shrimp, chorizo sausage and saffron threads! How delicious does that sound? 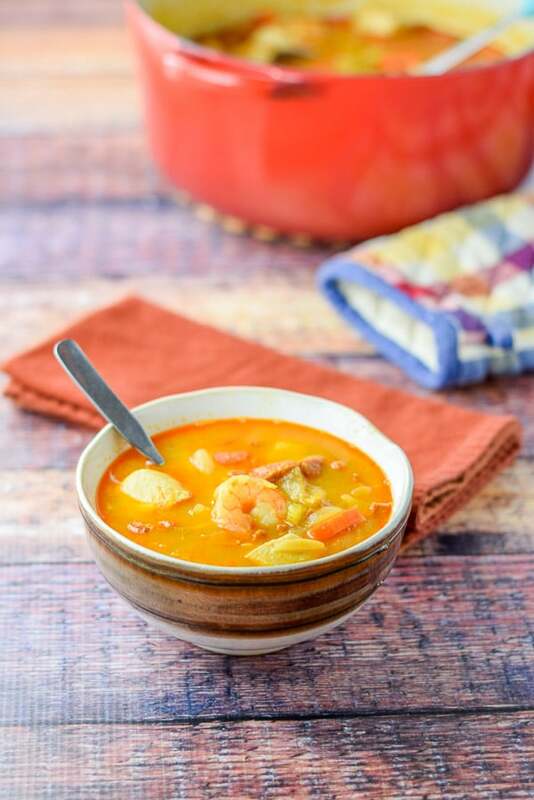 If you’re looking for a non-dairy soup, you should try Analida’s Avgolemono soup recipe. It’s creamy without the cream and so lemony. She uses chicken, orzo, eggs, lemons, and veggies. 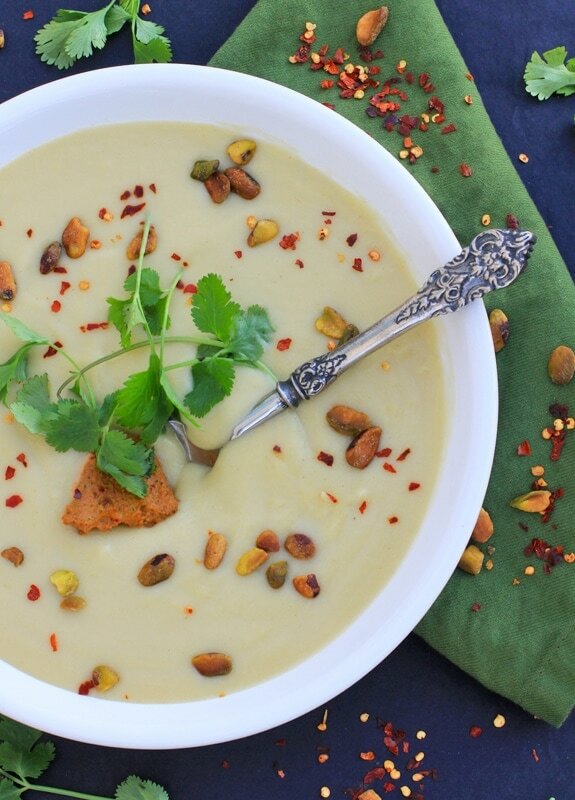 The soup gets flavor boosts from bay leaf, parsley, nutmeg and peppercorns. You have to try it! This is another great recipe from Kathy. It’s loaded with turkey, black beans, corn, tomatoes, chili and taco seasoning. The spice is perfect for chilly nights, am I right? I never liked fish soup as a kid. My mom would boil the entire head in the soup – eyes and everything – and my sister would taunt me with it. It took me many, many, many years before I attempted my first fish soup. Matt’s is one of my favorites. He uses celery, tomatoes, bell peppers, wine, lemon juice, seasoning and fish. The fish he recommends are Alaskan cod, whitefish, haddock or monkfish. You’ll love it! 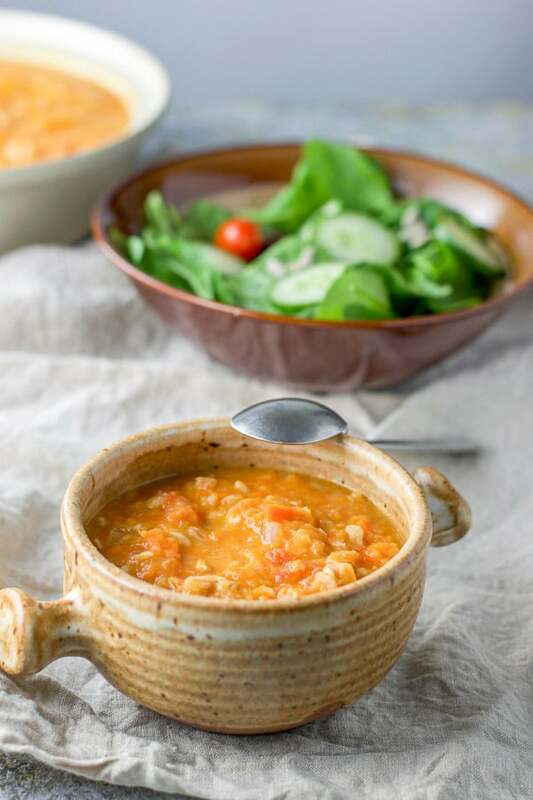 When it comes to hearty soup recipes, I can’t forget a good split-pea soup. Kelly’s is really nice and convenient if you have a crock-pot. She adds in split peas, ham, carrots, celery, turmeric, seasoning and broth. It’s really, really tasty. Like recipe round-ups? Then take a look at: 14 Cucumber Salad Recipes You Should Try. Ann’s cream of mushroom soup makes me drool every time I think about it. 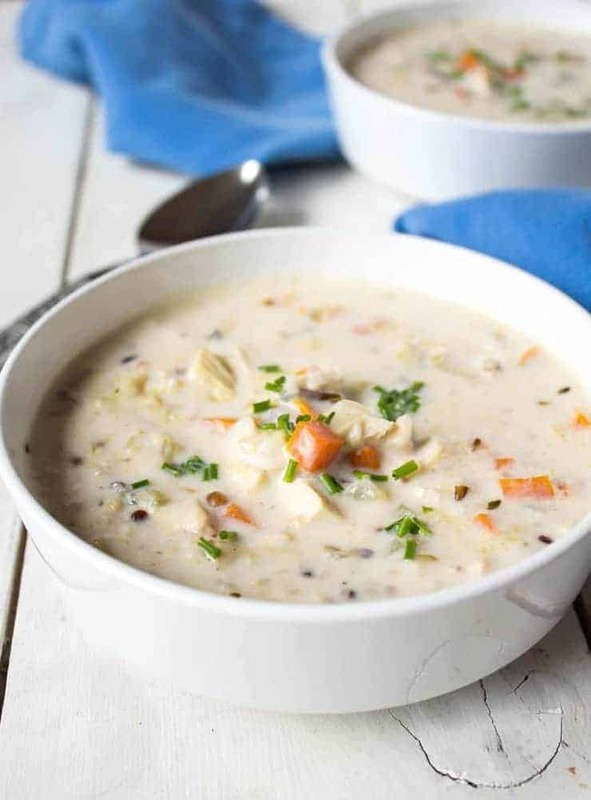 I absolutely love mushrooms and they take centre stage in this tasty soup. It has green peppers, shrooms, milk, nutmeg and seasonings. 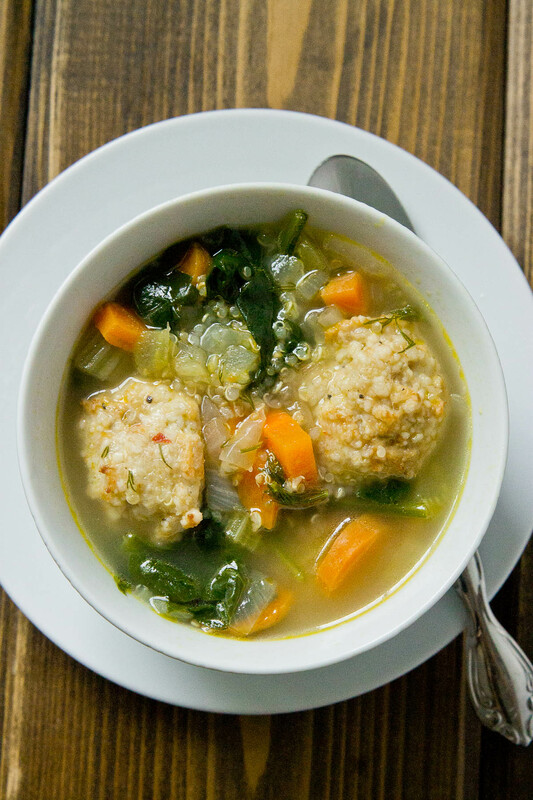 I swap chicken broth for vegetable broth and it’s just as good! 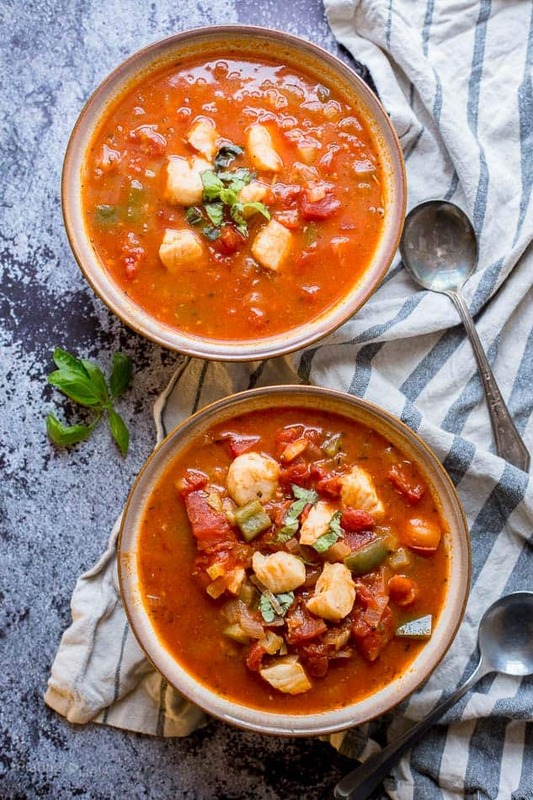 Heat up winter with this Caribbean-inspired soup. 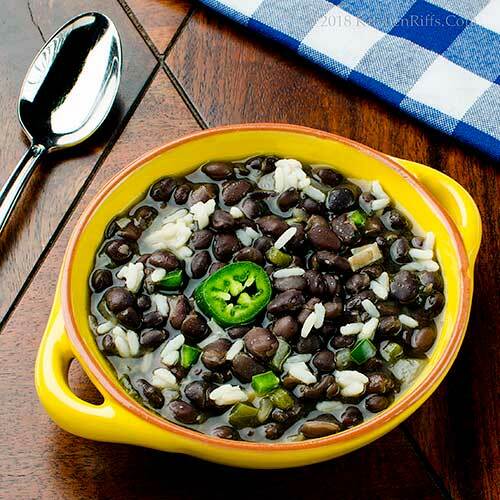 It has black beans, onion, garlic, jalapeños, and vinegar. And John seasons everything with cumin, coriander, and oregano. Yum! Soak your beans overnight before making this soup (save yourself the time and learn from my mistake heh!). 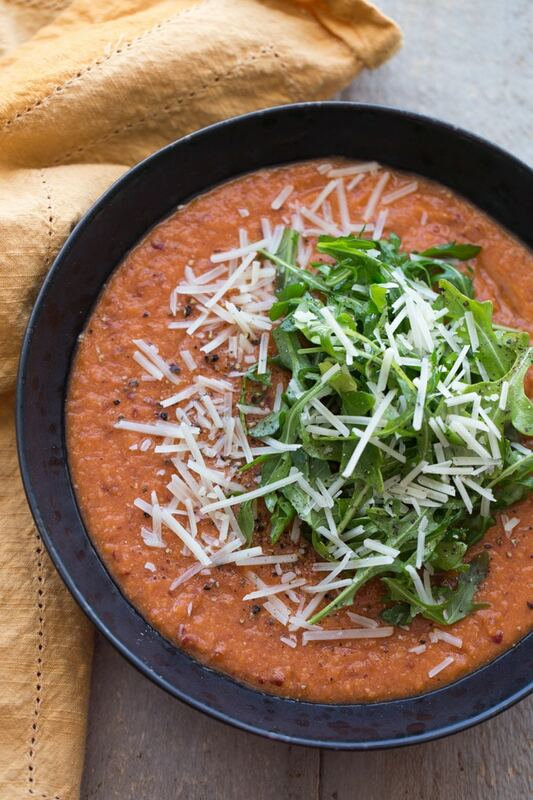 Like John’s recipe, Leanne’s tomato chickpea soup is muy caliente. She calls for tomatoes, chickpeas, red kidney beans, tahini (yay! ), paprika, and thai peppers. It’s full of protein, spicy and de-li-cious! Of all the hearty soup recipes, I’ve had this one the most recently. 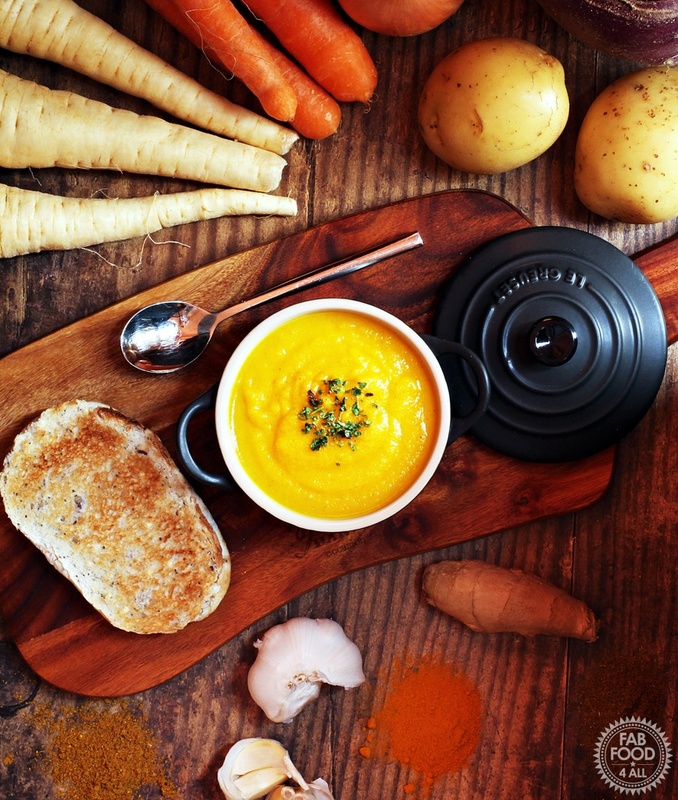 Jennifer’s soup is perfect with carrots, pumpkin, coconut milk, shredded coconut, thai red curry paste, garlic, cumin, ginger and seasoning. The flavor combination is so tasty! I’ve also made this recipe regularly and I can guarantee you are going to love it! It has cauliflower, potatoes, garlic, leeks, and seasoning. EA tops it off with a really spicy – and super yummy – pistachio harissa pesto. It brings the heat. If you are a fan of eggplant parmesan, then you must try Ann’s recipe. 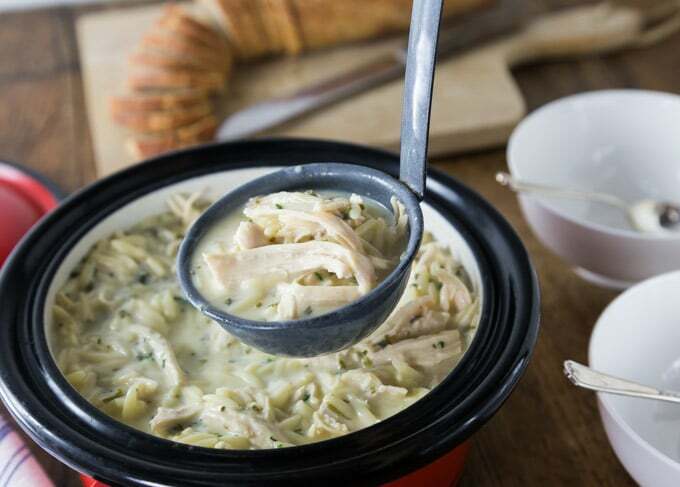 It’s adapted from the New England Soup Factory Cookbook and it’s exceptional. You’ll find eggplant, celery, tomatoes, and seasoning in it. And Ann pairs it with yummy garlic croutons. Kate’s Laksa recipe will brighten up your cold days. It has bean sprouts, baby corn, mangetout, spring onions, garlic, chilis, ginger, turmeric, and coconut milk. Doesn’t that sound like heaven? Oh and the cook time is 15 minutes! Camilla’s soup is loaded with flavor. It has everything you’d want (as a vegetarian!) – rutabaga, parsnips, carrots, potatoes, ginger, curry, turmeric, cumin, coriander, and masala. That flavor combination hits my sweet spot – or is it soup spot? Haha! 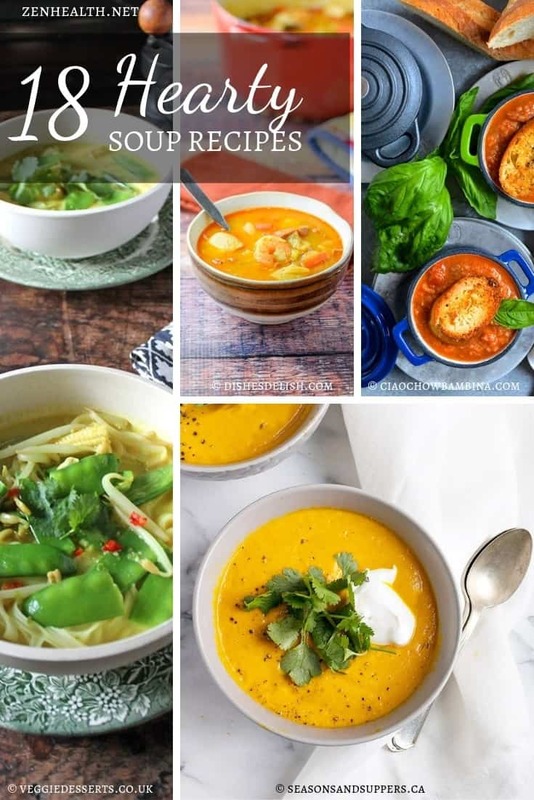 If you liked any of these hearty soup recipes, give some love to the gals and guys that shared them with us. They’re all awesome! Haha! Your followers will think you’re hungry! Thanks for letting me share your lovely recipe! This is a perfect collection for this time of year! They all look delicious! I’m with Kathy! 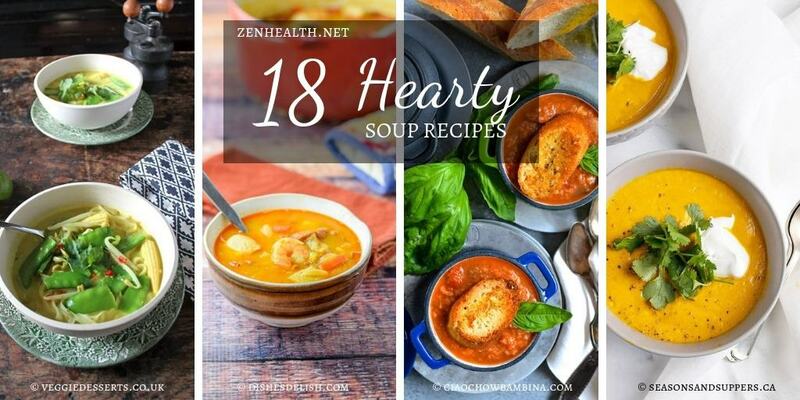 This is a perfect collection of a soups for this time of year! They all look so good, I don’t know where to begin! Thank you, again, for including a couple of CCB’s favorites!! Happy holidays! Thanks Annie! Made your cream of mushroom one last week and it was such a big hit I have requests for Christmas Day (from the pickiest eaters in the fam)!!! These look so yummy and healthy! I love making soups in the winter! These all look wonderful. Thanks for sharing! I’ve been really into trying new recipes recently so thank you so much for this! There really is nothing better than having a hot bowl of soup on a cold winter day. All of these sound so good, but I definitely want to give the eggplant parmesan and the spicy tomato chickpea one a try. These sound so good! I love soup, it is my favourite part of wintertime! I’m wishing it was winter now because these all look really nice and tasty, and definitely like they’d be nice and satisfying as well. That’s one of my favourite things about winter and now that it’s hot I just want it to be cold again so I can start having soups.